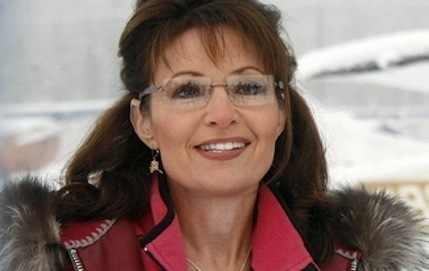 Already a fixture as a Fox News Channel commentator, Sarah Palin added another pelt to her belt Thursday when TLC announced its intent to carry Sarah Palin's Alaska. The eight-hour documentary series is a joint venture of Discovery Communications and reality maestro Mark Burnett. His reality series include Survivor, The Apprentice, Are You Smarter Than a 5th Grader? and the recently defrocked Our Little Genius, which Fox declined to air after a behind-the-scenes scandal involving information given to the show's pre-teen contestants. Palin, who earlier guested on a Season 6 episode of TLC's American Chopper, says, "I look forward to working with Mark to bring the wonder and majesty of Alaska to all Americans." Burnett in turn says he "can't think of anyone more compelling than Sarah Palin to tell the story of Alaska." ***Everybody's gotta have a dance show, and now CBS has one, too. Got to Dance, which of course is based on a hit British series, welcomes contestants of "any age, group size and style." A host, judges and an audition schedule haven't been announced yet. ABC currently is enjoying bounteous ratings for its 10th edition of Dancing with the Stars, which launched on Monday. Another season of Fox's So You Think You Can Dance, which recently held tryouts in Dallas, will premiere on May 27th. NBC doesn't have a dance competition series yet, but hoofing and puffing are allowed on its America's Got Talent, which as previously noted is taping shows in Dallas on Thursday and Friday of this week before returning to the Peacock on June 1st. ***Showtime's Nurse Jackie and United States of Tara, which just started their second seasons on Monday, already have been renewed for third seasons, the network announced Thursday. The series respectively star Edie Falco and Toni Collette in the title roles. Collette won last year's Emmy for best actress in a comedy series. ***Masterchef, the latest kitchen concoction from acerbic cook Gordon Ramsay, will premiere July 29th on Fox. The show attempts to turn amateur chefs into "culinary masters," with contestants eliminated weekly. Joining Ramsay as judges are Joe Bastianich and Graham Elliot Bowles.